Once again, I’m shilling for someone where I won’t see any benefit, but Amazon.com has a pretty amazing deal going on with their MP3 store. In an attempt to promote the business, they’ve been coming up with some amazing deals on full-length CDs. Recent deals included the new releases from Keane and Pussycat Dolls for only $2.99, and the Fergie CD for only $0.99. Yeah, I know…that’s about right on the value of Fergie, but you catch the drift. 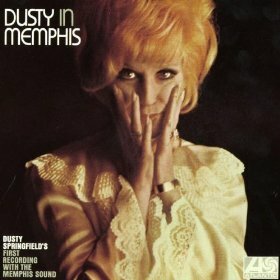 Today’s deal is the deluxe version of Dusty Springfield’s “Dusty in Memphis” for only $6.99. They also have a LOT of free downloads, instead of the one or two that iTunes offers up every week. You do have to install an interface for the downloads, but that was pretty painless, and purchases there have been very easy. Overall, though, to get current music for less than $10 AND not have to worry about them being DRM tracks, Amazon is worth trying out. I only started using Amazon recently (when someone gave me Pepsi points they’d accumulated), but in situations when I don’t have iTunes gift certificate money to use (the reason I hadn’t started using Amazon earlier) and the song I want is available in both places, Amazon would always win out. I mean, you can’t beat those prices and DRM free mp3s. Really brilliant. Now I’m just waiting for the day where there are no country restrictions on the music we can buy digitally. Here, here! The fact that I can’t get Shayne Ward digitally makes be break down and cry just thinking about it!